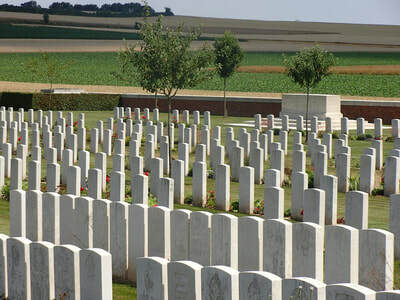 The cemetery is at all times open to the public. 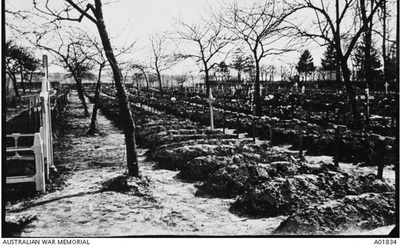 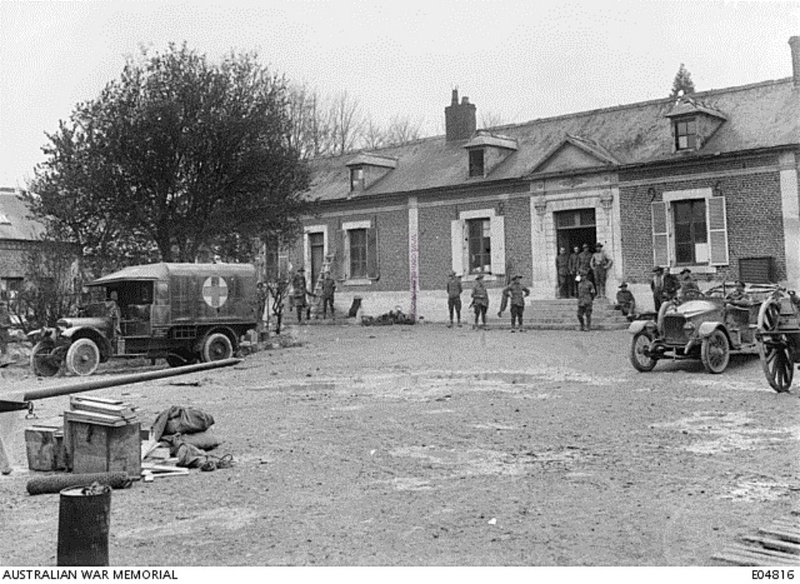 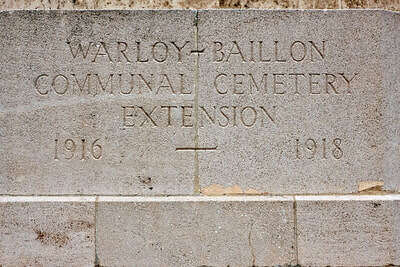 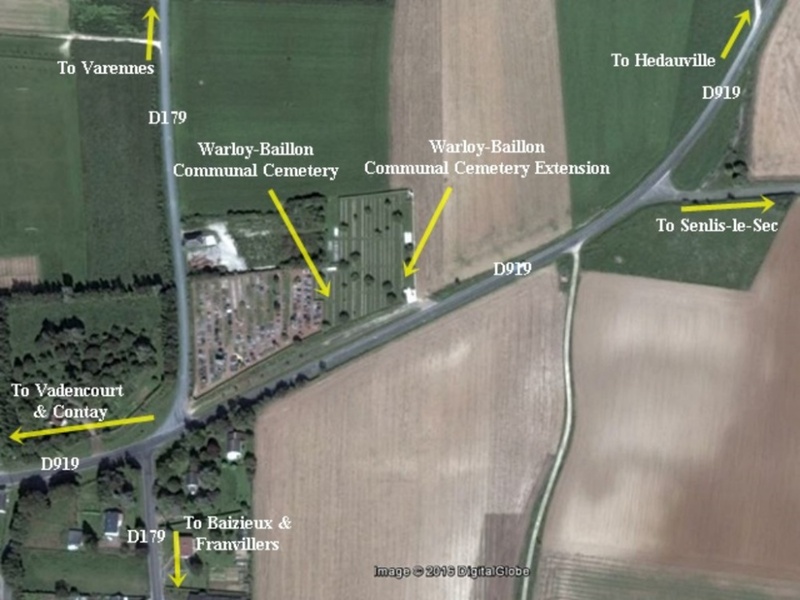 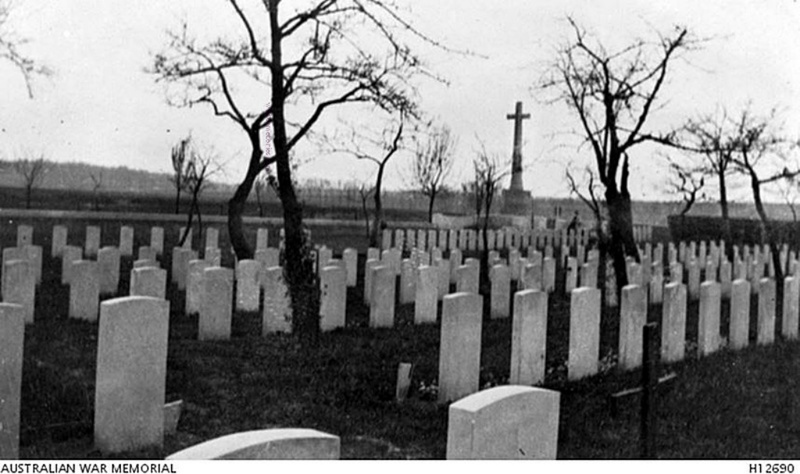 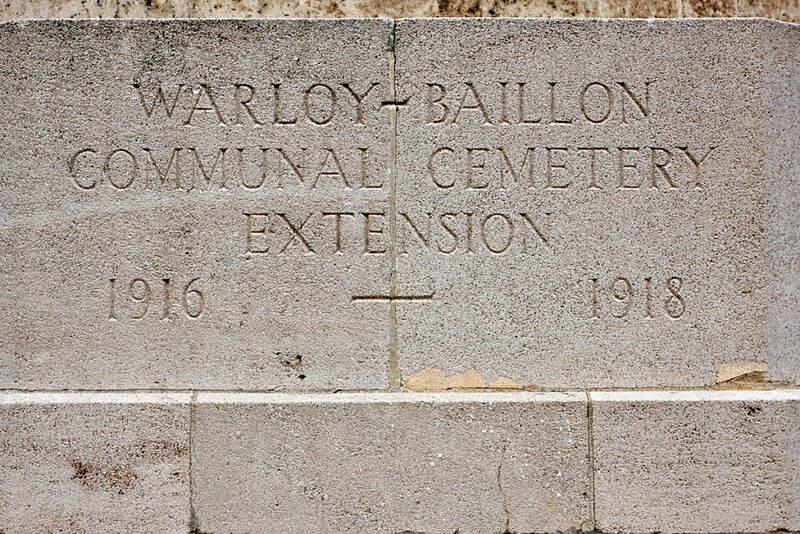 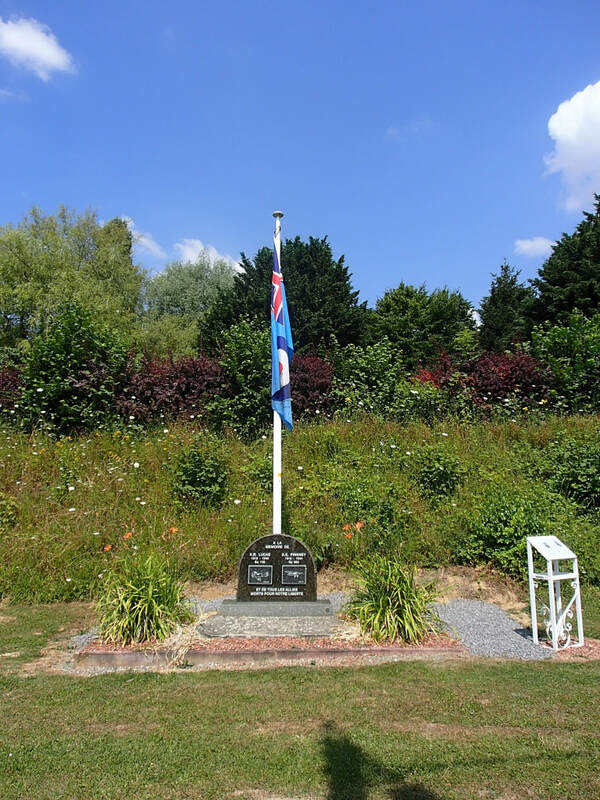 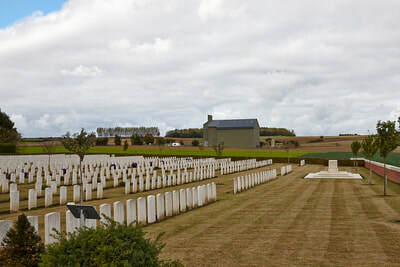 The extension contains 1,331 First World War Commonwealth burials and two from the Second World War. 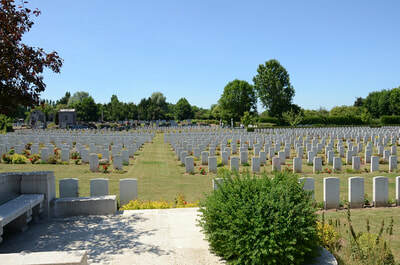 There are also 18 German war graves in the extension. 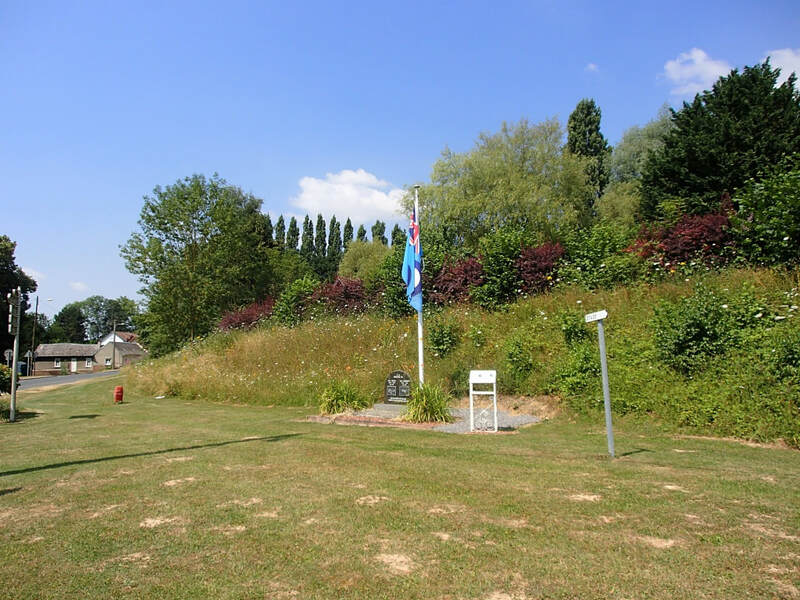 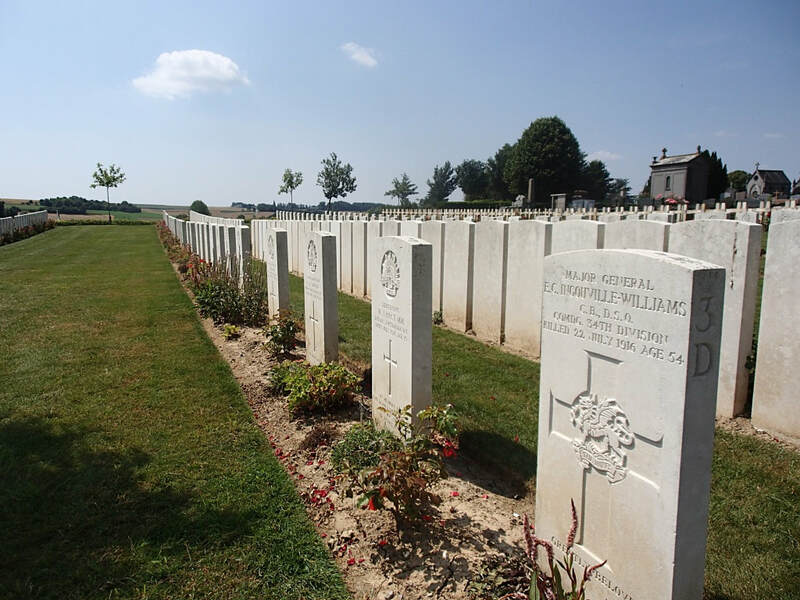 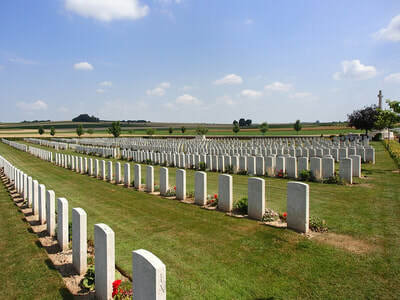 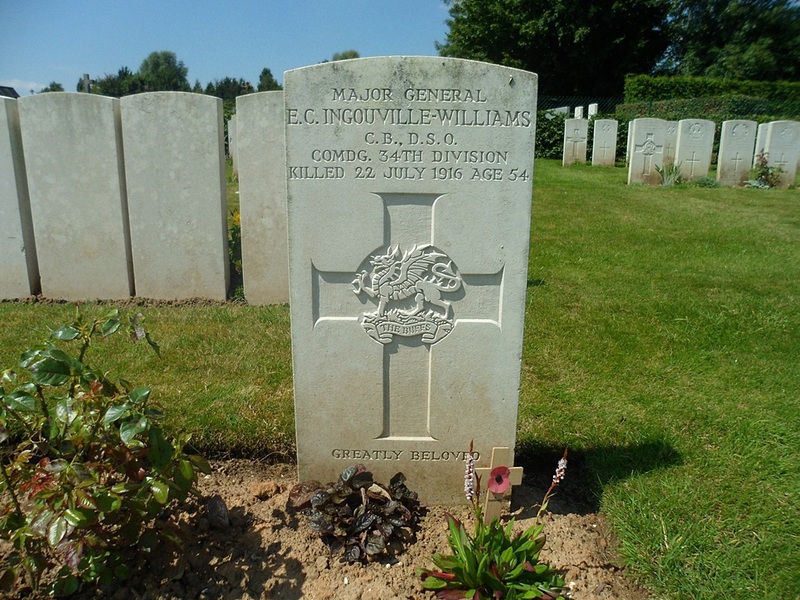 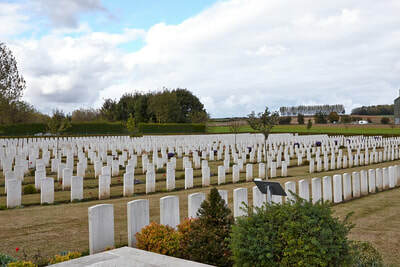 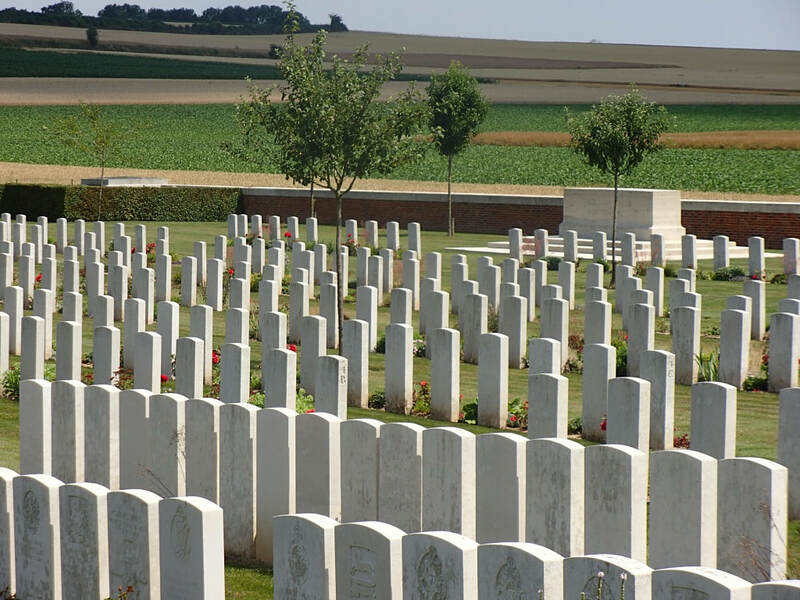 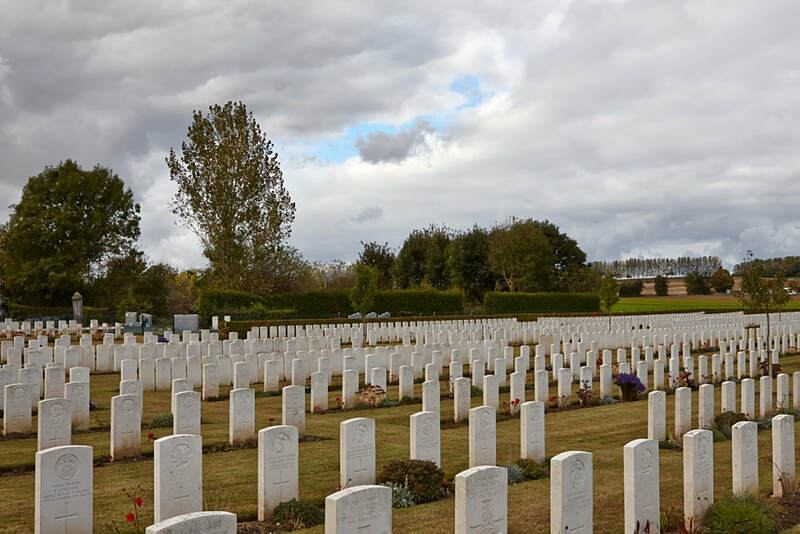 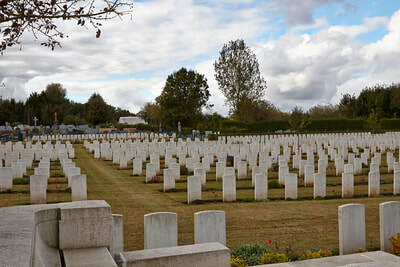 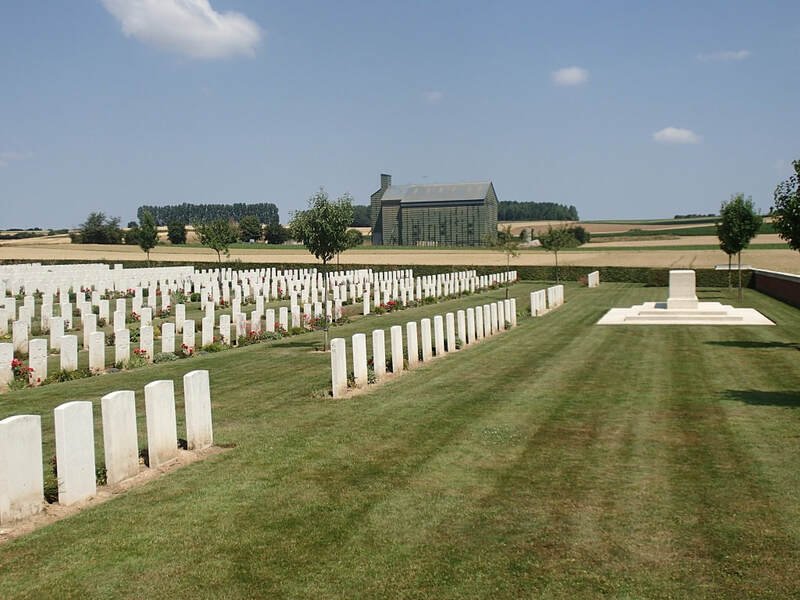 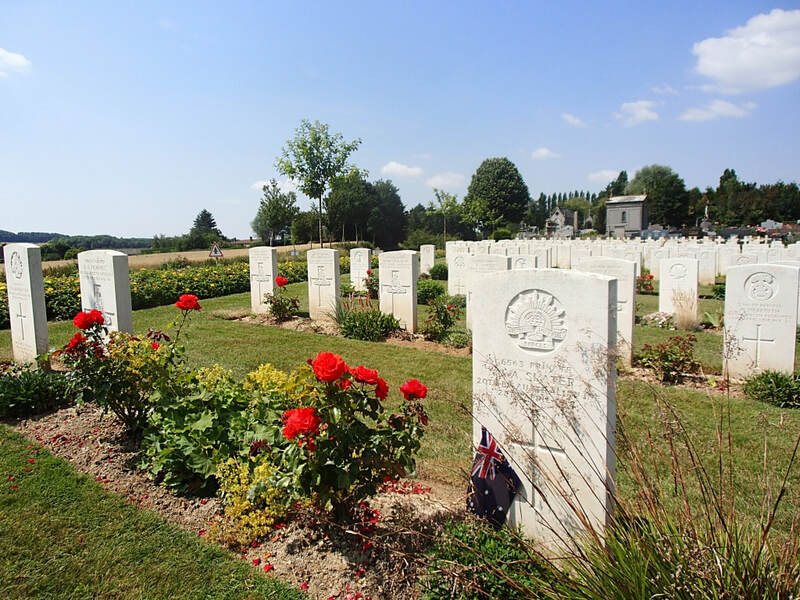 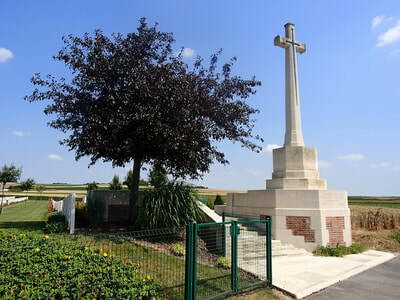 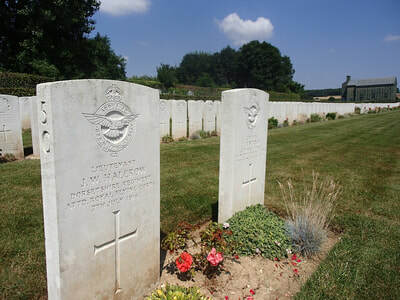 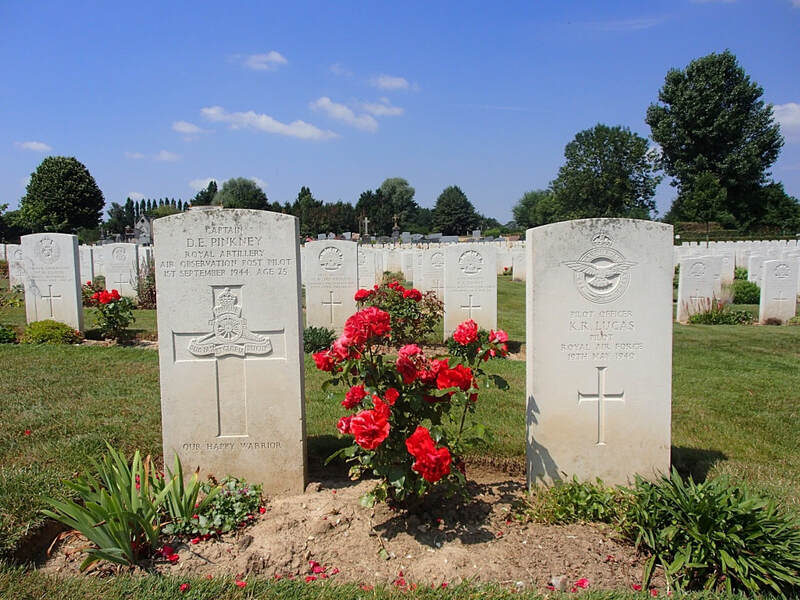 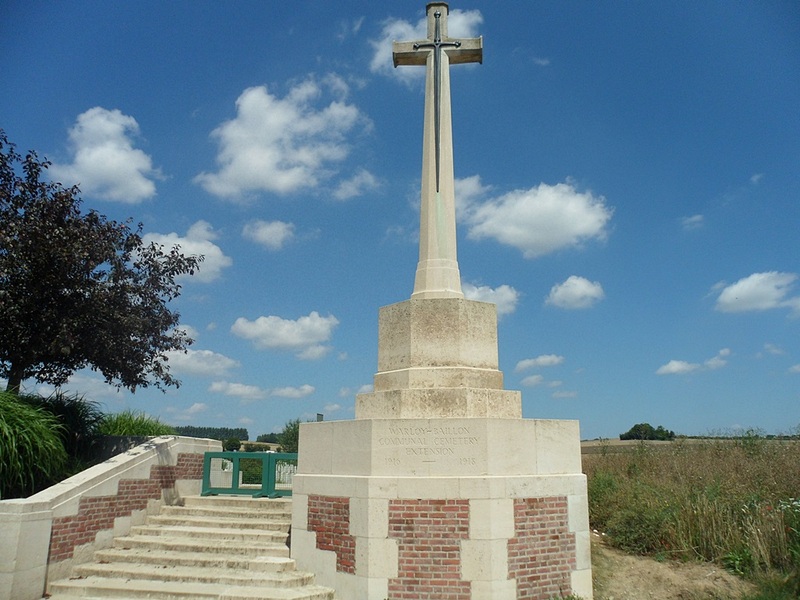 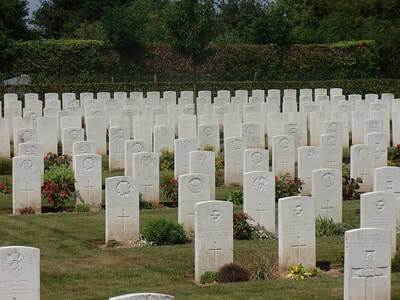 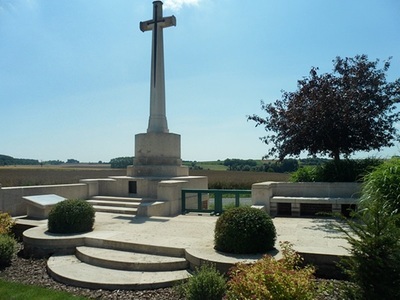 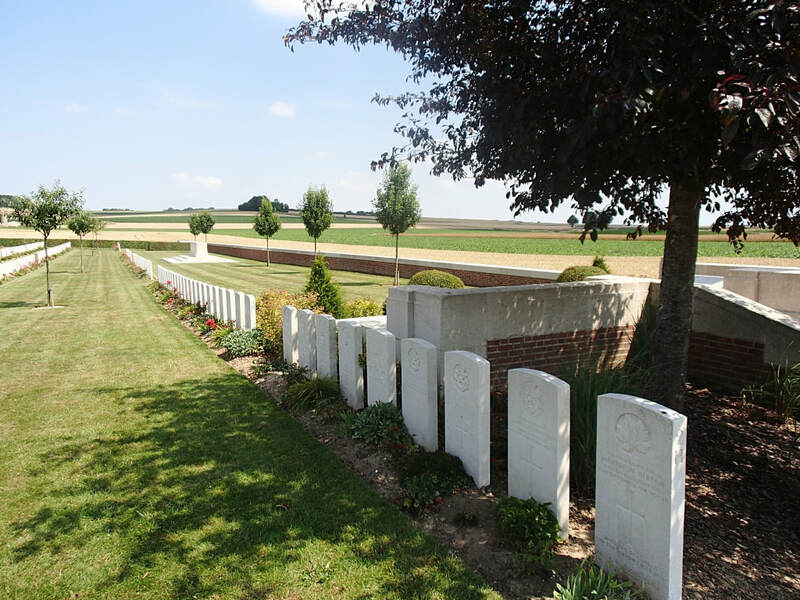 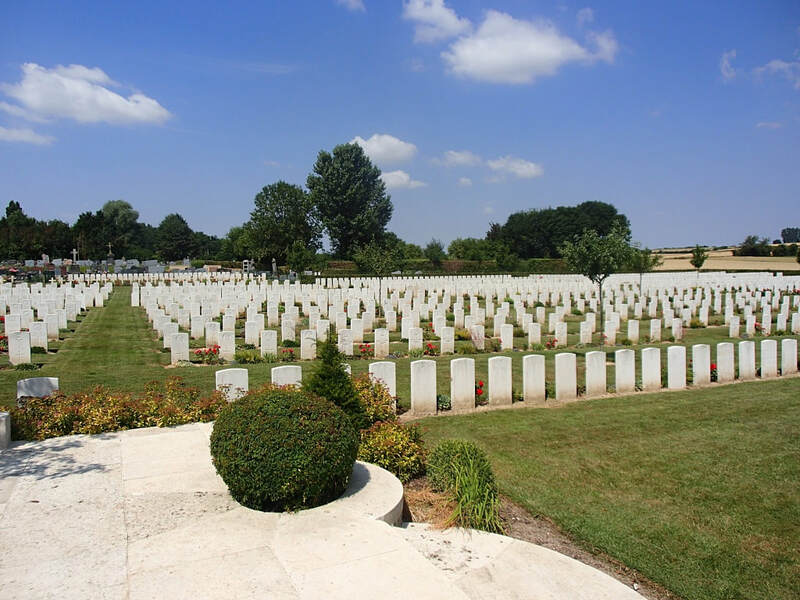 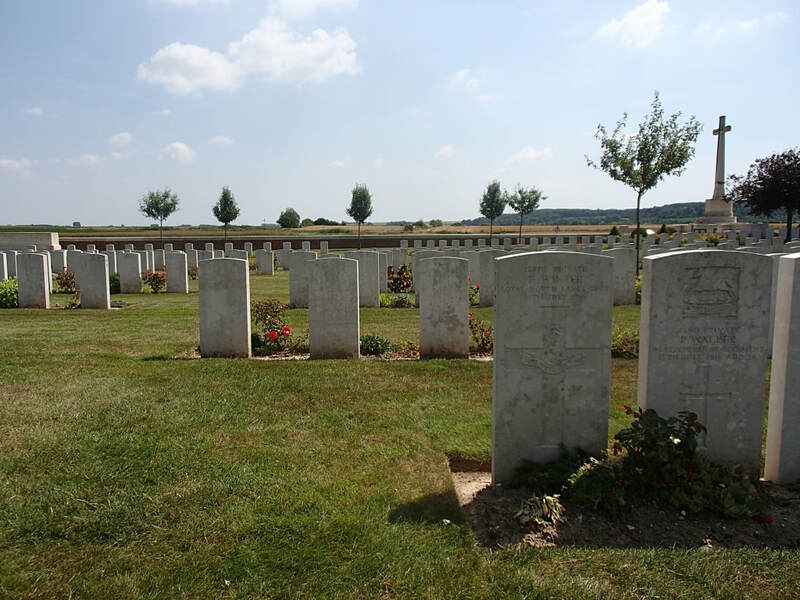 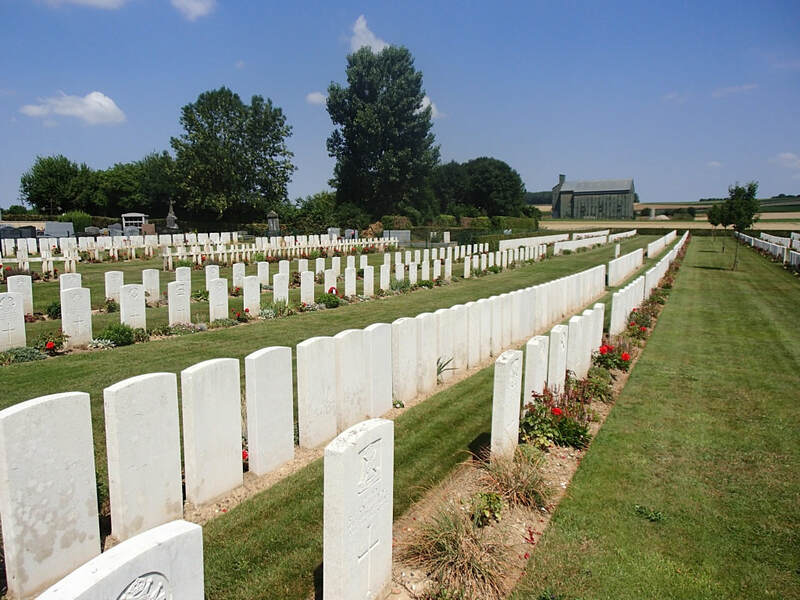 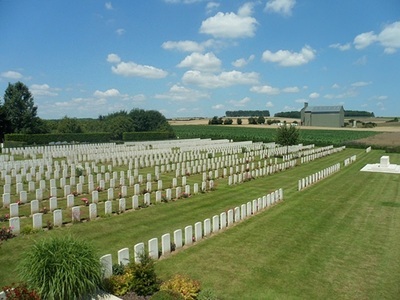 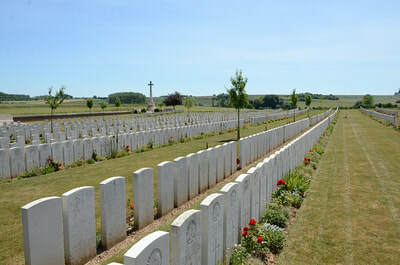 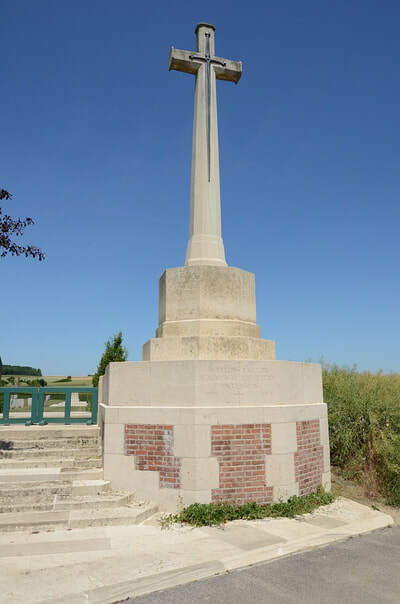 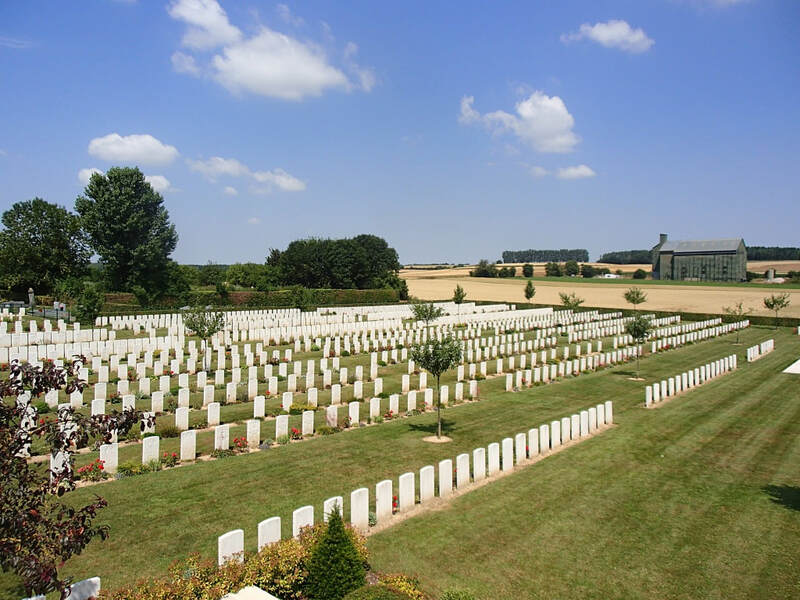 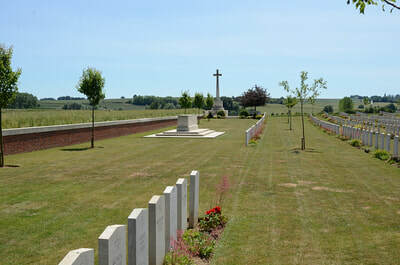 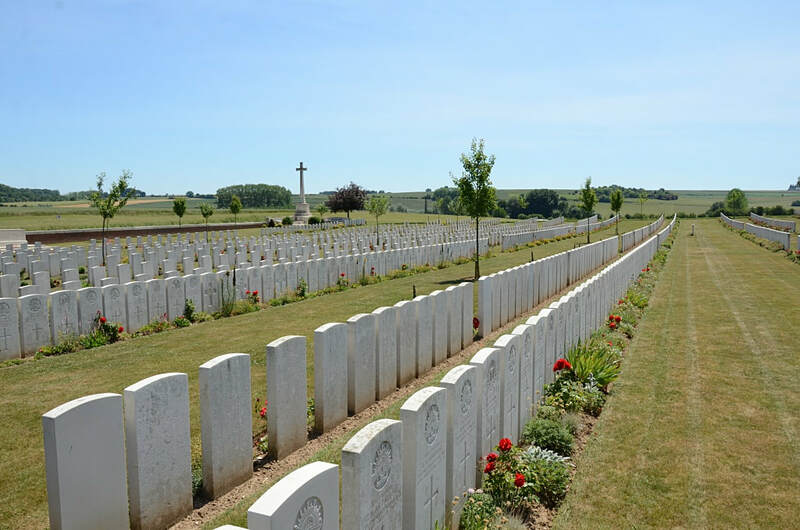 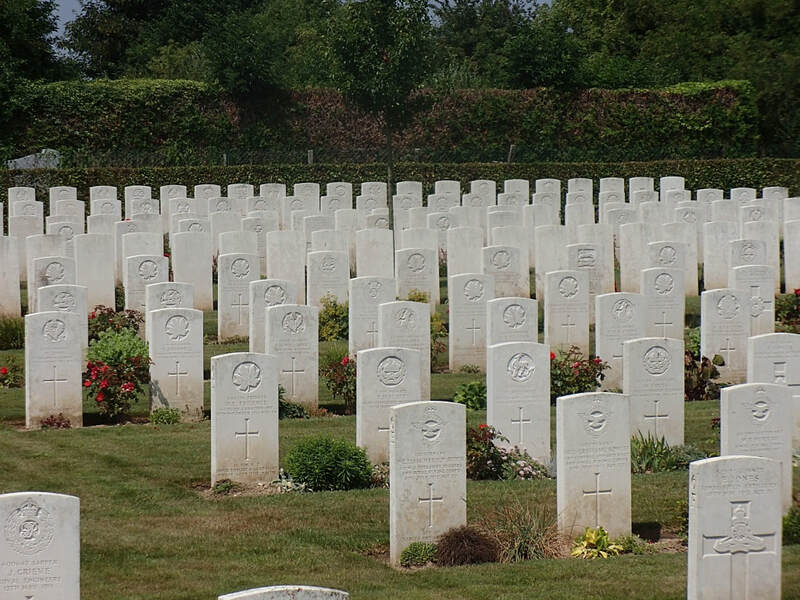 The communal cemetery contains 46 Commonwealth burials of the First World War and 158 French war graves. 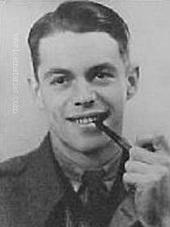 11257 Lance Corporal George Edward Hughes, 7th Bn. 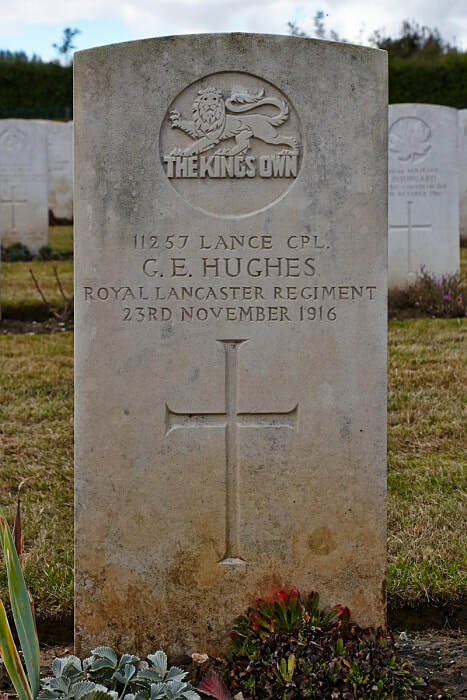 King's Own (Royal Lancaster) Regiment, executed for desertion, 23rd November 1916. 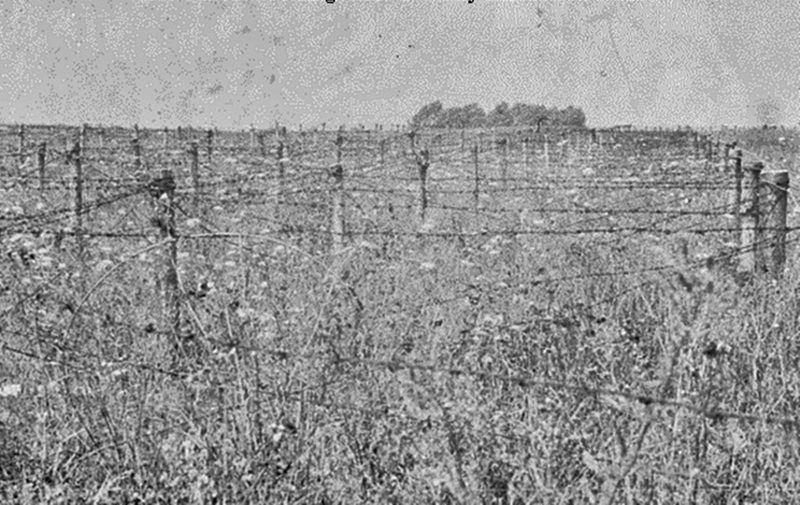 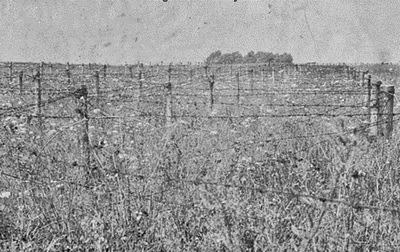 Plot VI. 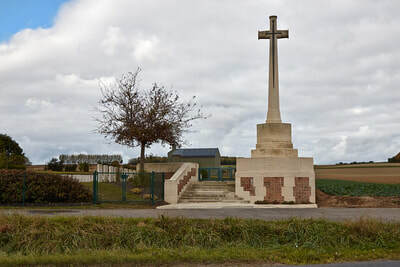 D. 18. 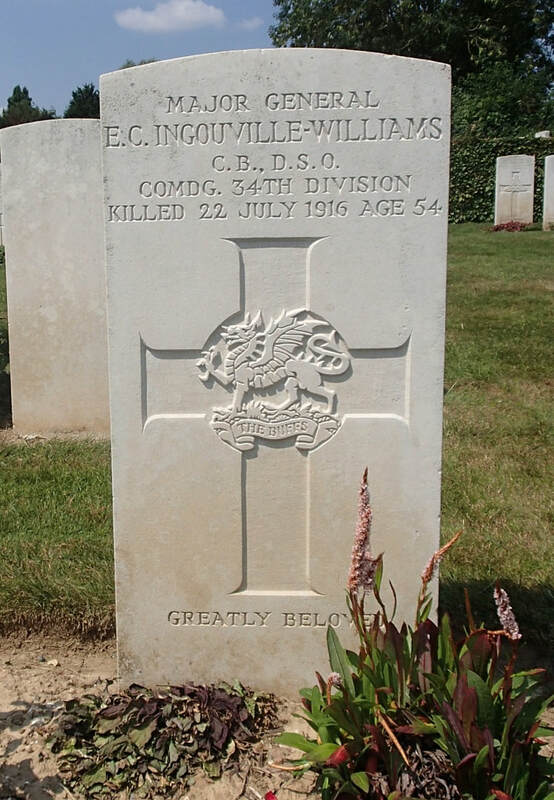 Son of Thomas and Elizabeth Hughes, of 8 Ernest Street, Great Ancoats, Manchester. 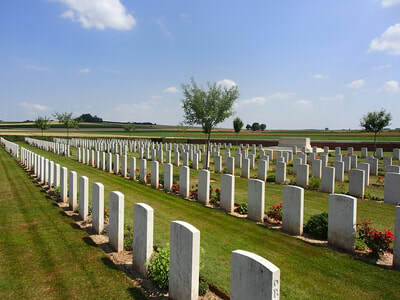 Plot 2. 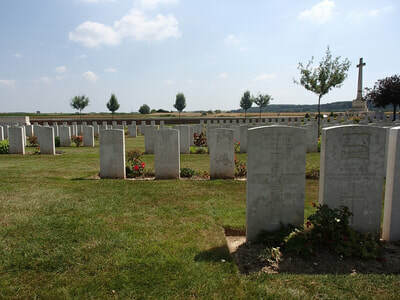 Row G. Grave 2. 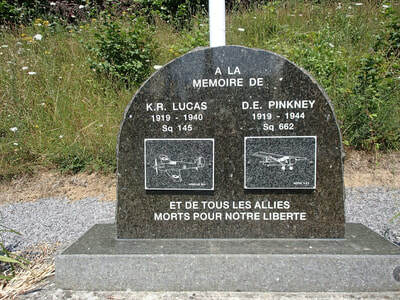 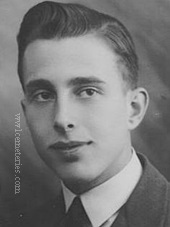 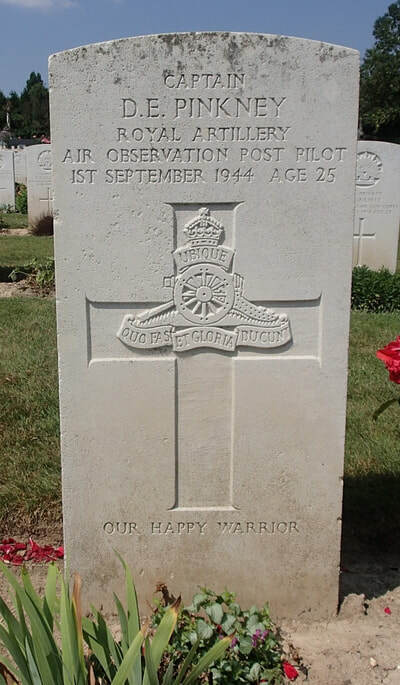 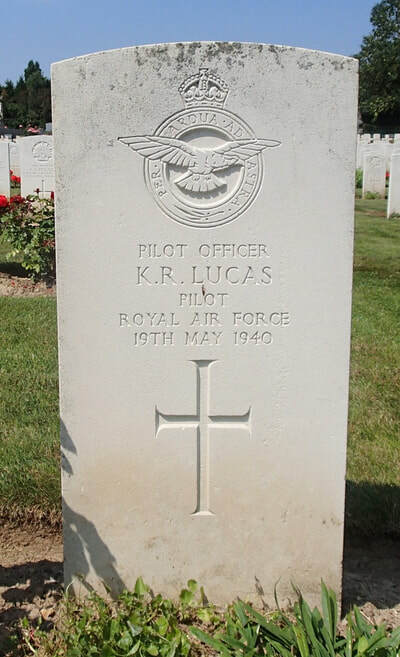 1st September 1944, aged 25. Plot 2. 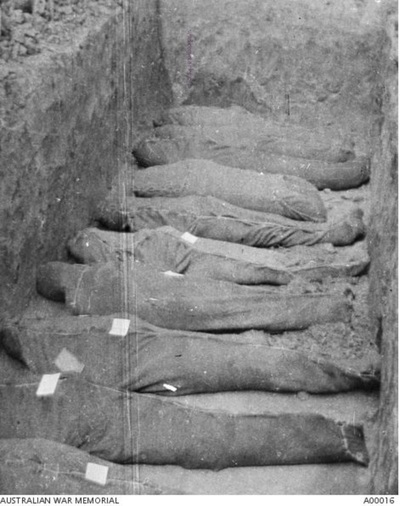 Row G. Grave 1.